In many cases, yes, especially if you had trouble creating a good working budget and sticking to it. In many cases, yes, especially if you had trouble creating a good working budget and sticking to it. Over the years, millions of people have chosen credit counseling programs to help them design a more effective spending plan, identifying areas to save money without unduly compromising their lifestyle. Credit counseling clients pay their bills responsibly, with their creditors approval, and for much less money over time. If you're having trouble keeping up with your payments, or you find yourself going deeper into debt, a call to a non-profit credit counseling agency can make a crucial difference. What is credit counseling all about? Credit counseling is the process in which a nationally certified counselor will work one-on-one with you to determine the best options for your situation. He'll educate you on how you can establish a budget, lower your bill payments, and design a realistic plan to repay your debts. Credit counseling services also offer Debt Management Plans, or DMPs. In a typical DMP, your unsecured debt is consolidated into a single, affordable monthly payment, often at reduced interest rates, which can save you plenty. Counseling sessions are free, and there's never an obligation to enroll in an agency's plan. So, if your debt problems are unmanageable, then you can take advantage of free credit counseling and organize your finances in a better way. When should you consider credit counseling? Credit counselors are specialists in helping people deal with financial hardships, resolving late payment issues, and identifying options to regain control of their finances. If you have a question about any issue related to credit or debt, don't hesitate to call. The counseling is free, and the credit counselors are happy to help. How can credit counseling help you pay off your debts? Credit counseling agencies employ counselors who can help you identify areas of your budget where you can save money and eliminate waste. They'll also work with you to create a personalized action plan to help you prioritize and pay off your debt. In some situations, one of the options they may offer is enrollment in a Debt Management Plan, or DMP. A Debt Management Plan allows you to consolidate your unsecured debt into one simple monthly payment. Not only is a DMP convenient, it can represent a substantial savings in interest payments over time. Credit counseling agencies have relationships with creditors all across the country. These creditors understand the challenges you face and offer concessions to people seeking non-profit credit counseling assistance. The benefits you receive through a Debt Management Plan typically include. When you consolidate your debts through a DMP, the agency will continue to work with you until all of the bills you've included in your plan are repaid. You'll receive a wide array of free educational products and services you can use to avoid future difficulties and prepare for specific financial goals. You'll have access to customer service representatives who will help you get used to life on a Debt Management Plan, and offer assistance throughout your enrollment. Perhaps most important, you can always reach out to your counselor for advice in dealing with any new financial challenges you face. 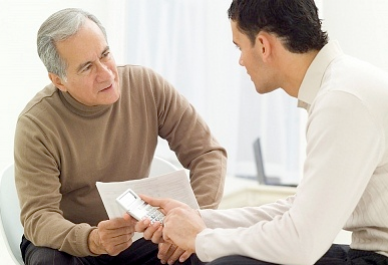 Essentially, you'll have a team of representatives helping you get out of debt. How much could you save through a credit counseling agency's DMP? • The typical client's credit card interest rates were reduced from an average of 22% to 8%, saving them roughly $186 in interest every month in their first year of enrollment. This gives them the breathing room they needed to stay current on other bills and start saving money again. • The agency's typical client enrolls a total balance of $22,100, spread over 5 accounts. By paying down those accounts at reduced rates, the client can save $5,288 in interest over their enrollment. • The typical successful DMP clients took 42 months to complete their debt management plan. Some finished earlier by applying a tax refund or similar windfall to their scheduled payments, but it's not necessary. Will enrollment in a DMP affect your ability to obtain new credit? That can't be predicted. Every creditor looks at credit counseling differently. On your credit report, a credit counseling notation is officially considered neutral. Nevertheless, some creditors may perceive the mark negatively, while others may be comfortable with the fact that you're addressing your situation and repaying your debt every month. If you're an appropriate DMP candidate, there's a strong possibility that you're already overextended and would find it difficult to repay your creditors at your current rates in a reasonable timeframe. As your balances are paid in full through the program, your debt-to-income ratio should improve, providing you don't take on additional debt in the meantime.